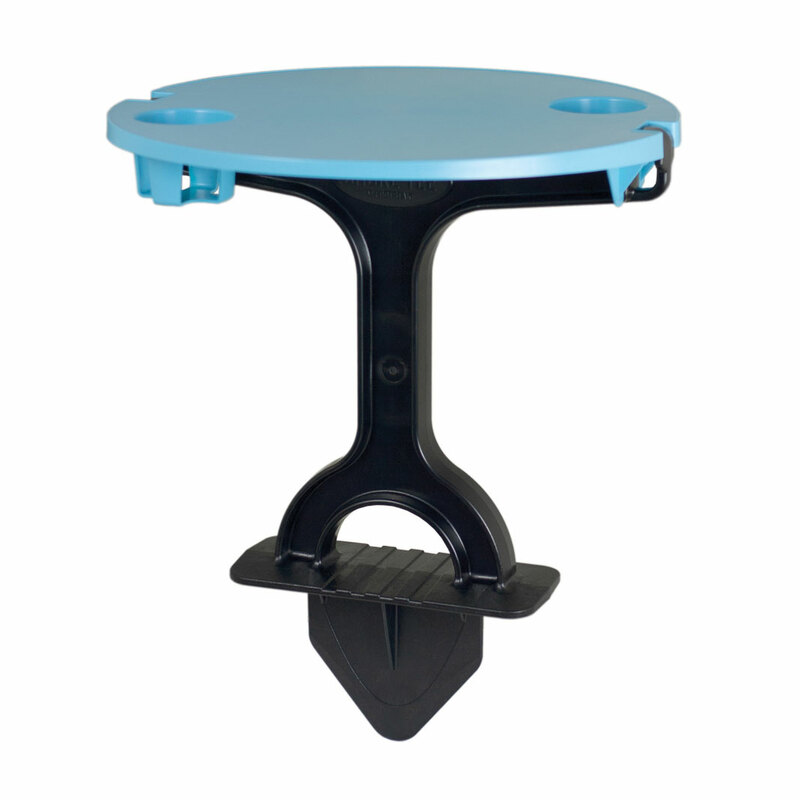 Your favorite watercraft storage tool just got better! 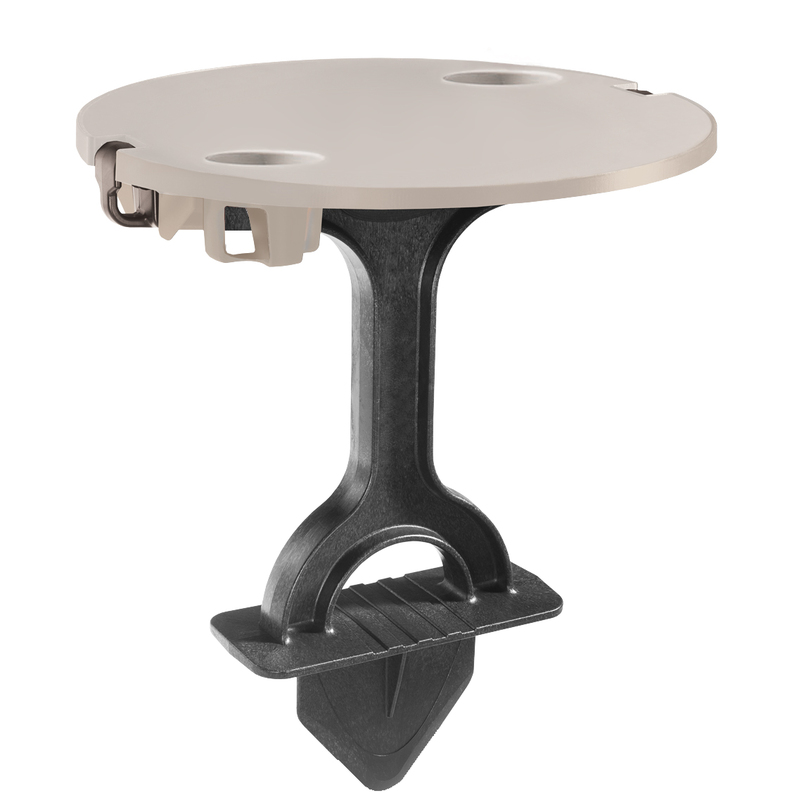 FootStake outdoor table is ready to go on all your adventures and built to last. 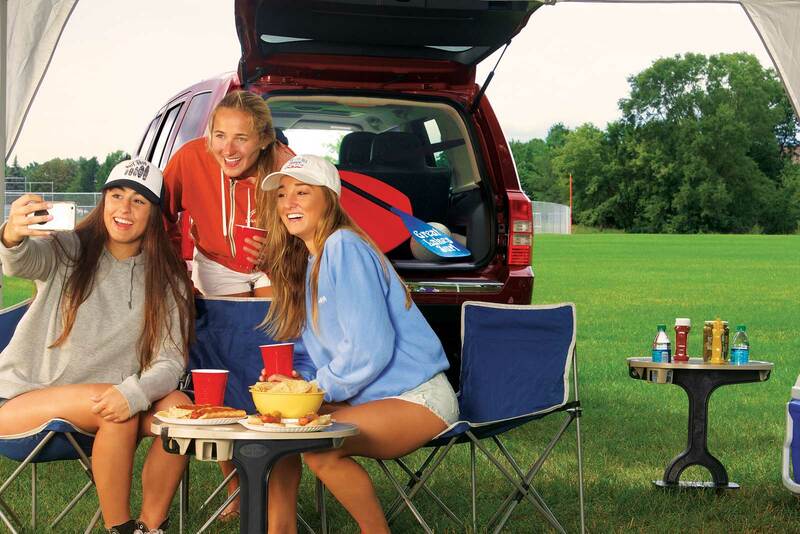 Take it along to the beach, on your next camping trip, or off-roading. Wherever it goes, it’s built to last! 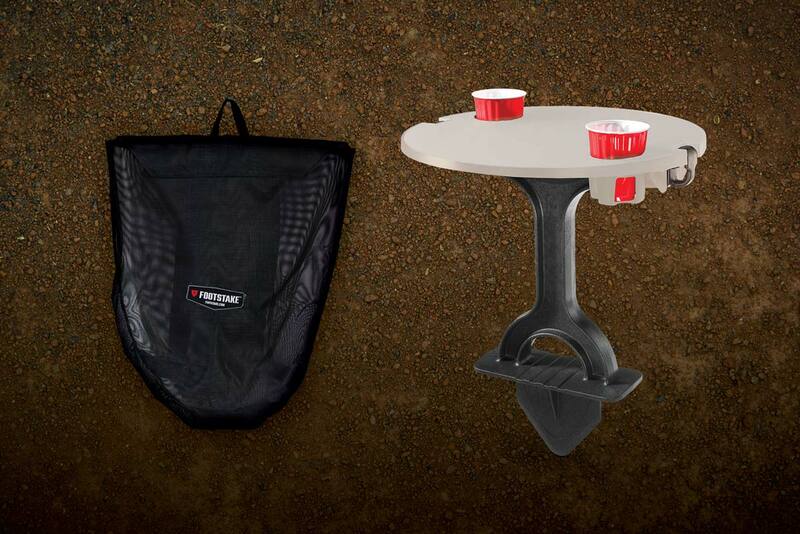 Outdoor adventures have never been so easy! 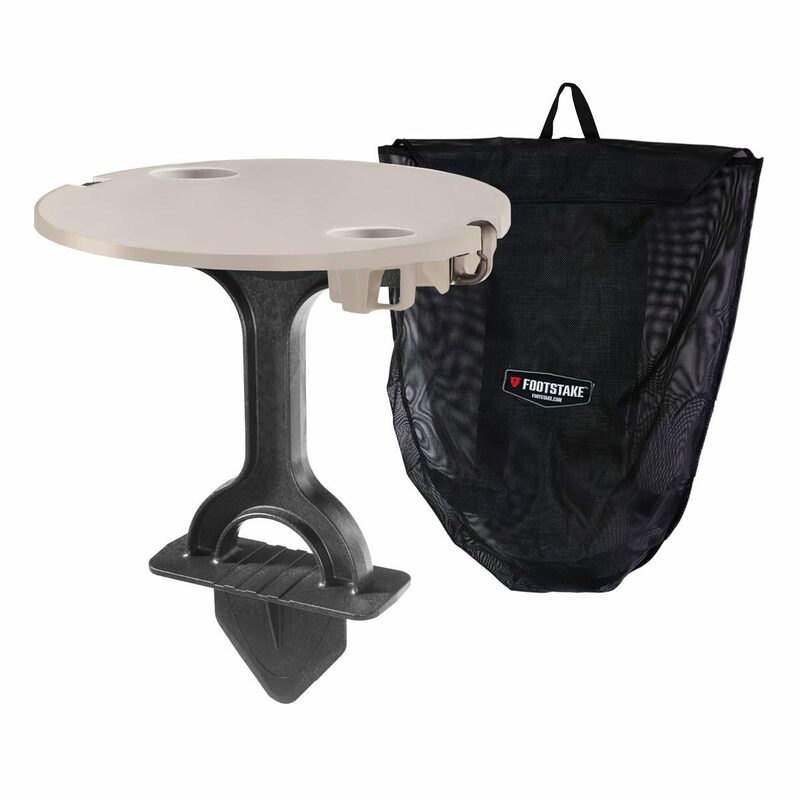 The lightweight, durable FootStake outdoor table is easy to carry yet sturdy enough to hold drinks and all your personal items. 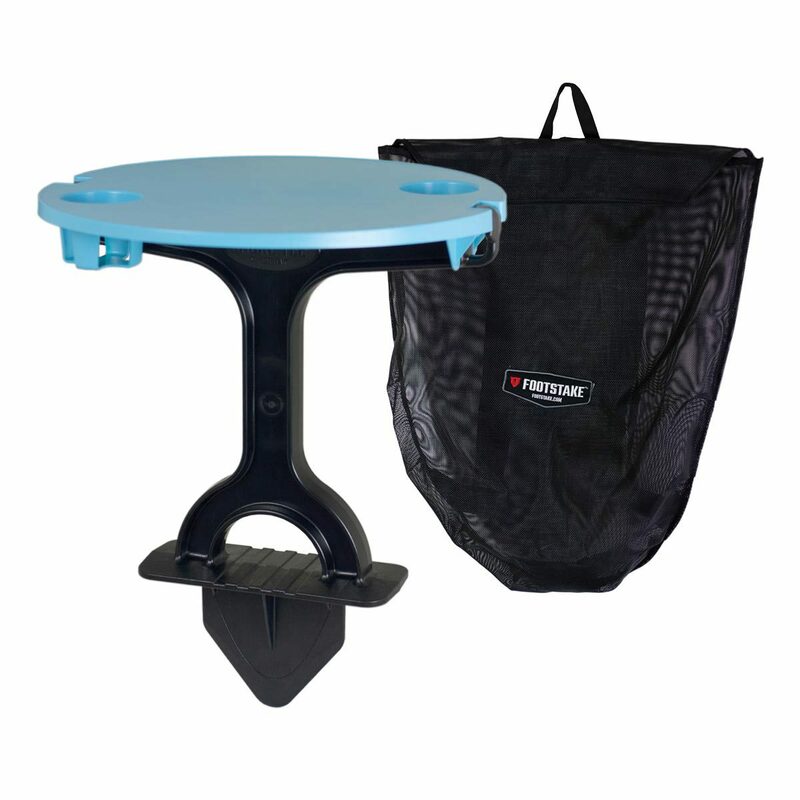 Proudly made in the USA with 100% recyclable, automotive-grade material. 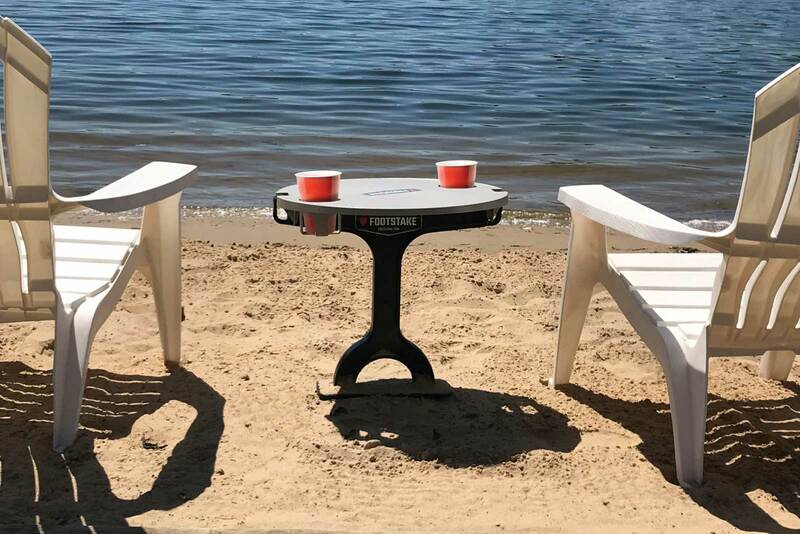 A Clever, Portable Table That Only Requires One Tool: Your Foot. 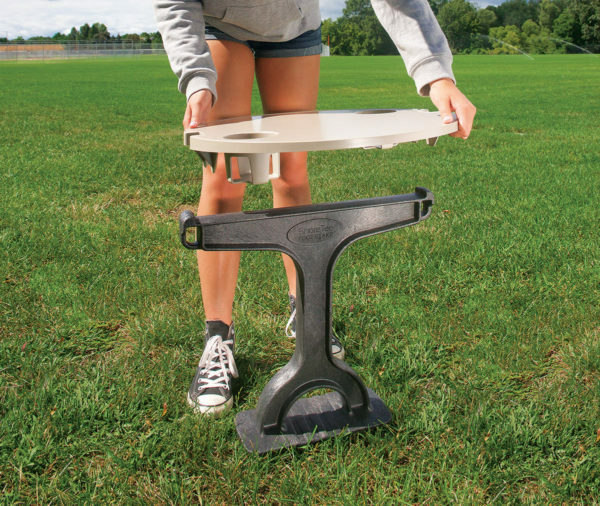 Pop the FootStake into the ground, align the groove at the bottom of the table top with the top of the FootStake and press down to secure. It’s that easy.